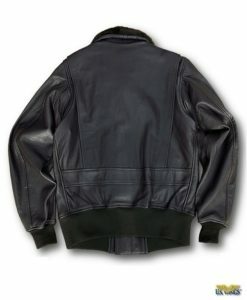 The Cockpit® USA “Movie Heroes” Top Gun G-1 Jacket is the same jacket worn by the Navy’s best of the best! Based on early 60s specifications, this jacket has a light russet colored antiqued mouton collar. For authenticity, the leather and the patches have been treated with a special vintage treatment, giving it a worn in patina. 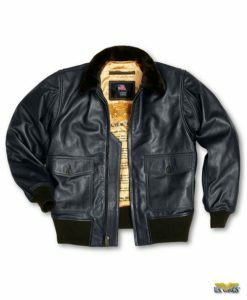 Decorated with all 17 patches and the USN Anchor pin, this aviation jacket conforms to the movie original and is an unsurpassed piece of naval and movie history. This is truly an outstanding jacket! Made in the USA.